Why Not Try a Visit to the Caribbean in May? 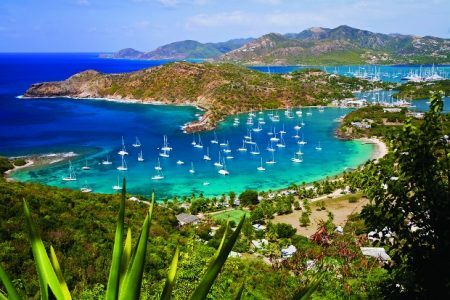 Antigua is blessed with a diverse collection of great hotels and resorts, with a particularly high number of high-end all-inclusive resorts. These aren’t the all-inclusives you’re used to — they’re sophisticated, elegant and luxurious. What’s the coolest place to visit in Antigua? Try the rum shack called Papa Zouk on the outskirts of the capital, St John’s, a marvelous throwback to a different time with hundreds of rums on offer. It’s a bucket-list Caribbean bar. By day, make sure you stop at Nelson’s Dockyard, the historic site where the famous Admiral Nelson once lived — it’s one of the Caribbean’s most beautiful sites. Antigua claims to have 365 beaches, or one for every day of the year. While confirming that count would certainly be a worthy expedition, there are some particularly beautiful beaches worth visiting. Delta operates flights out of Atlanta Saturdays. 7 nights from Atlanta all-inclusive for 2 at the Jolly Beach start at $3062.00. Call Susan in our leisure department at (678) 420-2510 | Toll-Free: (800) 950-2950 or E-mail: vacations@teplis.com to help find the dates that could work for you.